Ingatestone turns the corner ! 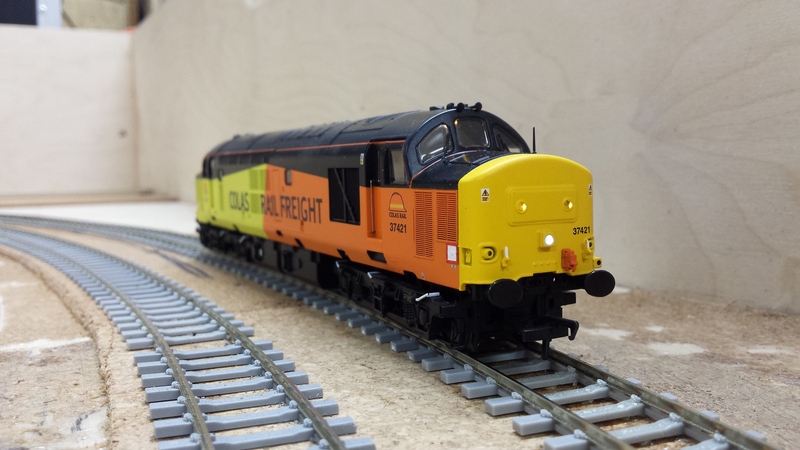 After a lot of wiring, testing of the track power on Ingatestone has started – here we have Bachmann Class 37/4 37421 on the up line on board 6 powering round the corner – next Thursday we will be testing the boards that will be attending London Festival of Railway Modelling at Alexandra Palace. Come …read more. This weekend saw Lawrence. 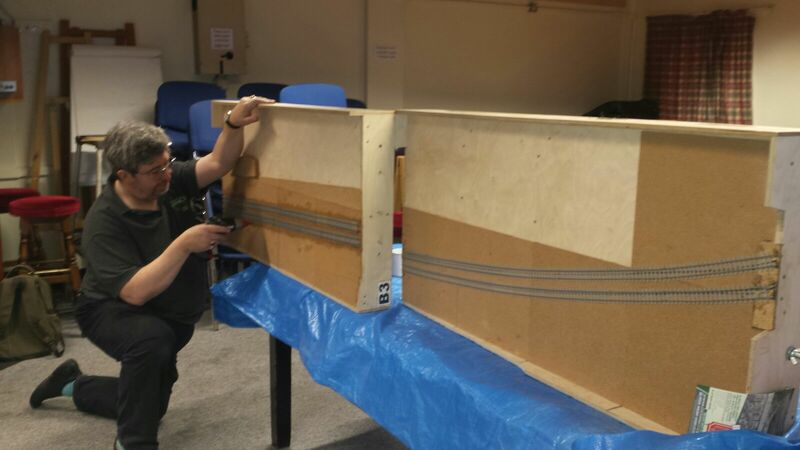 Mo and Tom make progress with the power wiring for the layout, as well as on the woodworking. Protector boards to avoid track damage on board ends are being fabricated, and the covers for the trolleys that will be home to the corner boards 5 and 6 took more steps forward. …read more. Mind The Gap! in our railway modelling range. What was once a very Niche part of Railway Modelling is now gradually becoming ever more popular. Recently this year (2015), two major suppliers of Ready-To-Run Models produced two new fantastic London Underground Trains featured on the Metropolitan Line.Bachmann’s London Underground S Stock and Heljan’s Metropolitan …read more. Our invitation to the National Festival of Railway Modelling has been the incentive to get a few more things progressed on the layout. A major resignalling scheme has seen searchlight starter signals mounted on an etched brass gantry installed, replacing the Berko 3-aspect signals originally installed as a temporary measure hours before the first …read more. Update – Track laying and Carpentry. Above we see a couple of pictures taken by Lawrence Robbins this afternoon at Keen House. These show the great progress being made on Ingatestone. 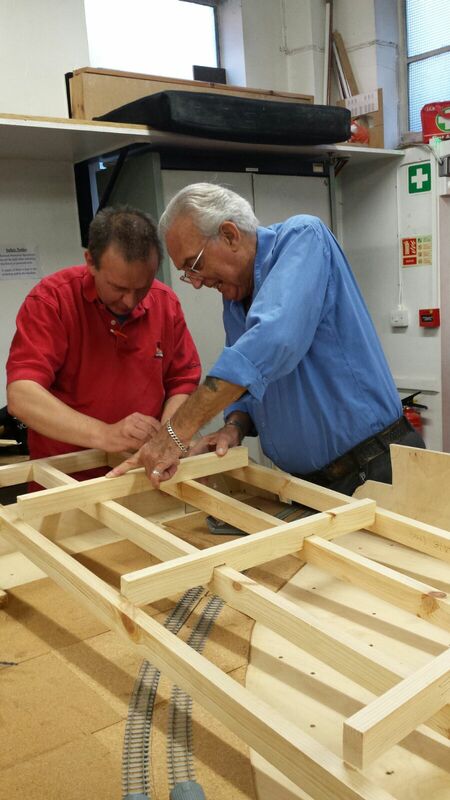 Mo, Tom and Kevan are seen building the base for the new dollies that will take boards 5 & 6 in due course. The second photo shows boards 5 …read more. Welcome to the Ingatestone Blog! This is the first blog by the team that will be bringing Ingatestone to life in 4mm scale. The team are: Chris Ibbotson, Tom Slade, Bob Allaway, Maurice (Mo) Beanlands, Lawrence Robbins and Kavind Patel. We are at Keen House most Thursday nights from 19:00 and also have Sunday working sessions from 11:00 that will …read more.